Weddings aren’t what one would exactly call en vogue at DC. For a long time it was policy that weddings can’t happen at DC because personal lives are the cost heroes have to pay in order to do what they do. It was… poorly received to say the least and not without good reason given that it came at the cost of long-running marriages like those of Superman and Lois Lane, Wally and Linda West, Animal Man and Ellen Baker, and torpedoed the well-received Batwoman run by J.H. Williams and Haden Blackman. However, Rebirth has largely been defined by attempting to return certain relationships to what they were, and where the New 52 Batman was largely devoid of relationships (bar the ones that required a fridging), Tom King’s Batman restored Batman’s romantic relationships to the limelight. The apex of this being the proposal to Catwoman and the marriage storyline that’s been running over the last year. King, Mikel Janin, and a host of guest artists bring that story to a climax for now, and it’s something to behold. The story was unfortunately spoiled early by a certain major publication, but even that doesn’t cover the breadth of what King is trying to accomplish here. While there have been fits and starts to King’s version of the Batman/Catwoman relationship in this run, this issue does its level best to contextualize their relationship over all that publication time. All the highlights, all the bad points, all the small parts that we love about them are examined in detail here on what’s supposed to be the start of a life together. For all the bumps that this run has hit along the way, even a Catwoman-naysayer like myself can’t help but be touched by how King writes Bruce and Selina together. It also works within the context of his run about the idea of a fundamentally unhappy man who has no real desire to seek it out trying to do so for the first time, in that regard it’s hard not to appreciate seeing a more vulnerable Batman than most writers are willing to allow themselves to show. 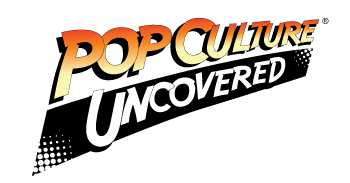 This issue has a bevy of guest artists from Jose Luis Garia-Lopez, to Becky Cloonan, to Amanda Connor, Greg Capullo and more doing different takes on Batman and Catwoman expressing the different points of their history and love together. But the prize for this issue really belongs to Mikel Janin and June Chung. Their work together brings an already impressive issue art and writing-wise and imbues it with truly memorable properties. Janin’s lush pencils have been part of why King’s run works so well, and have been a great team going back to their work with Tim Seeley on Grayson. But Janin gets to draw some truly gorgeous scenes, ones slightly more intimate than the typical Batman knock-em-punch-em. One sequence in particular has a rather wonderful bit trickery with where Bruce and Selina are standing relative to each other that makes it hit hard. June Chung’s colors also enhance Janin’s storytelling in this issue, changing lighting as needed, as well as eye-popping colors like the (inevitable) black of the wedding clothes against the brightly lit interiors in Wayne Manor. While it’s a bit of a late arrival to start at issue 50 of a two year run, it doesn’t necessarily matter in this case. 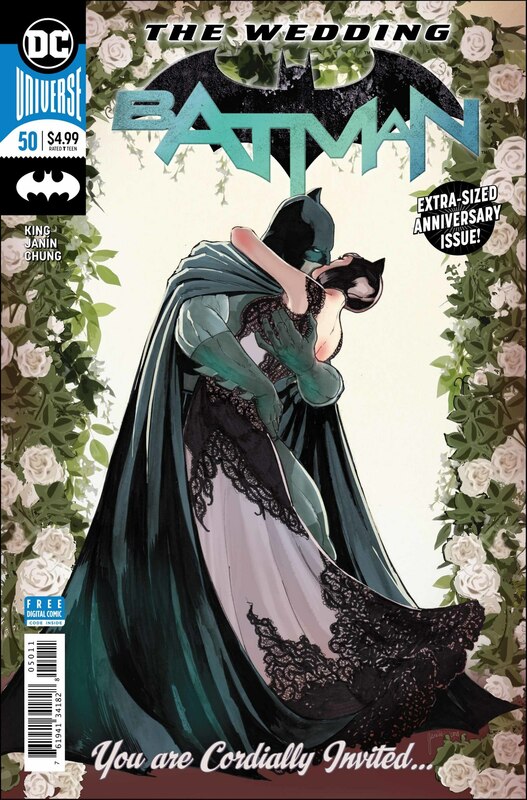 King, Janin and everyone involved in this comic are celebrating a romance that’s gone on decades now, and it kicks off a story that seems likely to be memorable in the Batman canon. But more importantly, it’s one that pays tribute to Batman and Catwoman.